The coastal region of South Carolina growth rate has exploded in the last decade thanks in large part to its two main industries; tourism and manufacturing. 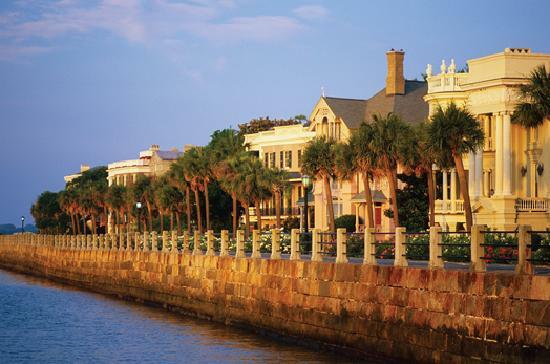 The scenic coastal beaches of South Carolina have always been a favorite among vacationers and retirees. With the increase in vacation traffic comes the need for the buildings and facilities to house and entertain the visitors. Additionally, manufacturing has boomed in the low country with the recent addition of the Boeing manufacturing facility in Charleston. Large manufacturing facilities also bring along feeder industries such as suppliers who supply components to the larger facilities. This growth in the number of facilities and housing needed to meet the growing region has created a strong need for our structural inspection services. To support the rising population of the low country of South Carolina, Structural Innovations Engineering & Consulting, PC offers structural inspections of single-family homes and FHA foundation inspections for manufactured homes. Often times, these structural inspections are driven by real estate transactions, and we pride ourselves on being able to deliver prompt service that meets your closing schedule. Concerned homeowners may also want to have an engineer review indications of structural concern they have seen in their own homes, or want a structural engineer to review work completed by a contractor. Additionally, we provide structural inspection services to building and parking deck owners along with conduct forensic investigations of structural failures. Our inspections can assist with discovering any potential structural issues with a building or parking deck.